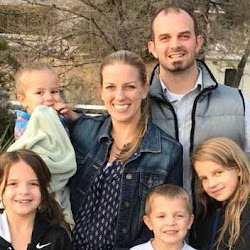 Earlier this week I posted "8 Must Have Baby Items from a Mom of Four." As promised, here is my list of "you really don't need that" items. After 4 kids in 6 years, I found that some items really did get a lot of use, and others were ditched shortly after #1 came along. If you're looking to save money, these items, in my opinion, are ones that you can easily skip! 1. Changing table. When you're having your first baby, a changing table seems like one of the most obvious pieces of baby furniture to add to your registry. And while a beautiful wood changing table may make your nursery look pretty, it is completely unnecessary. Our changing table was one in which you place the changing pad on top. By the time our first born was just 2 months old, that changing pad was GONE. We did save the actual furniture piece since it didn't look like a changing table and we used it for a dresser. We really only used the changing table for the first couple weeks. Since the nursery was upstairs, it only magnified its inconvenience. When you change 10+ diapers a day, you are not going to trek upstairs for every change. And even though we now live in a single story house, we just change our babies in whatever room we happen to be in. Your best bet if you're trying to save money? Skip the expensive changing table and buy a couple cute plastic covered changing mats! 2. Diaper bag. Let me first say that if I had unlimited funds, I would absolutely buy one of those super cute (but pricey) back pack diaper bags. BUT, since I don't, I'll give you this bit of info...we used our diaper bag for *maybe* a couple months. You don't need to pack the entirety of your nursery to go to the store. Throw a diaper, wipes case, and a binky into your cute purse. Keep a spare change of clothes and a blanket in the car. 3. A million blankets. Seriously. They'll use a handful. Get a couple different kinds (fluffy, fleece, soft, swaddle, receiving, etc.) so you can figure out what they like and what you'll use. THEN, if you discover you (or baby) really loves a certain kind, pick up a few more at the store. 4. Wipes warmer. My sister in law added this to my list, and I totally agree. It's just not necessary. I had one with baby #1, but I never actually used it. And doesn't it seem like these things would be prone to mold? 5. Bedding sets. Okay, first of all, it is NOT recommended to use bumper pads or ANYTHING loose in the crib at all. I cannot get my head around why bumper pads are still sold in stores considering they are a safety hazard (other than the obviously "money" answer). They're pretty. They are. But your baby's safety is not worth "pretty." Instead, buy a handful of cute fitted crib sheets (and really, it's nice to have 3-4 for those horrible nights when your baby gets the flu for the first time and you have to keep changing their sheets). You'll save yourself tons of money on the bedding set ($100-200! ), and keep your baby safe, too. 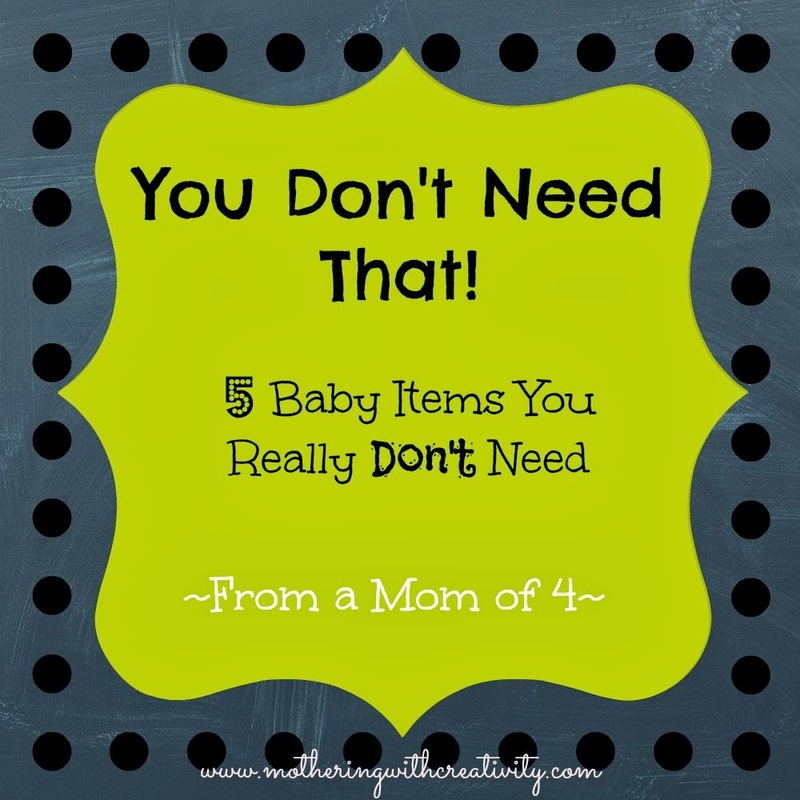 What would you put on your "you don't need that" list?